Interested in having a community fundraiser for Butte Humane Society? Whether you are a local business wanting to throw a fundraiser, a hobby club holding a raffle, or a sweet school kid putting on a yard sale – we are so grateful for your interest in raising funds for BHS! In order to get our pups in a row, we need to gather some information about your event such as date and location, as well as any BHS participation. Please fill out the Community Fundraising Agreement, you can complete and submit online or print a paper copy and drop it off at our Administrative Office. 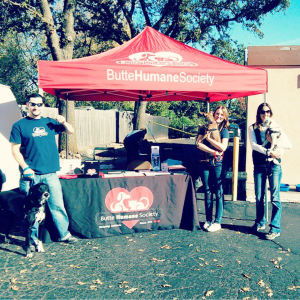 If you have any questions, please contact Mandy McClaine at mandymcclaine@buttehumane.org or 530.343.7917 x 107.